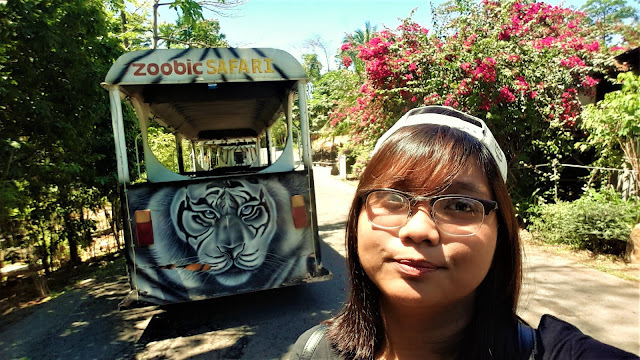 Zoobic Safari has been so popular for being one of the biggest zoos in the Philippines. It doesn't just end there, they also show you the importance of flora and fauna and lets you experience it in a single place. 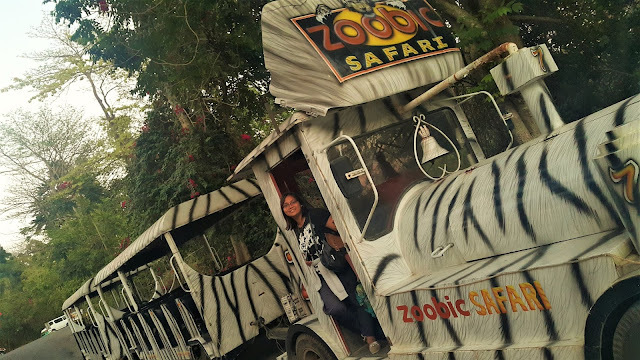 Here's 15 fun things that you can only do in Zoobic Safari! We finally met the famous Tom, Jerry, Kimi and Dora tigers at the Zoobic safari! 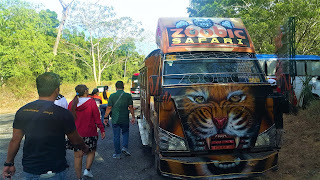 The night safari became the talk of the town for its one of a kind tiger feeding experience! It's an experience that most people would love to try even for at least once! 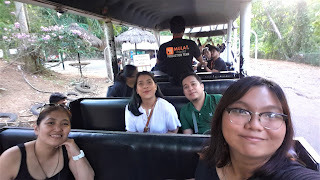 We rode a jeepney like a car fully eclosed with grills for our safety. We entered an enclosed area where the Tigers are staying. 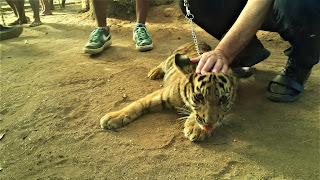 Trained personnel from the zoo joined us and he's the one assigned to call and feed the tigers! I sit beside the door and got that pretty close encounter to see how easily the tiger eats the raw chicken. 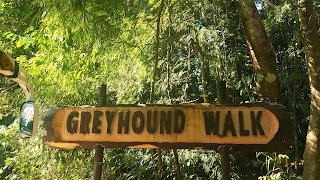 To tour you around before reaching the Camp Baytan, the Greyhound walk is an attraction that's only available in Zoobic Safari and is not available anywhere in the Philippines! 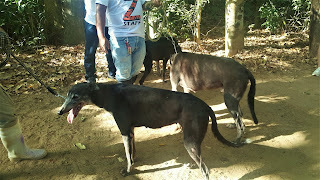 Greyhound dogs are known for being an athletic dog, they'll be the one to guide you up to the camp! 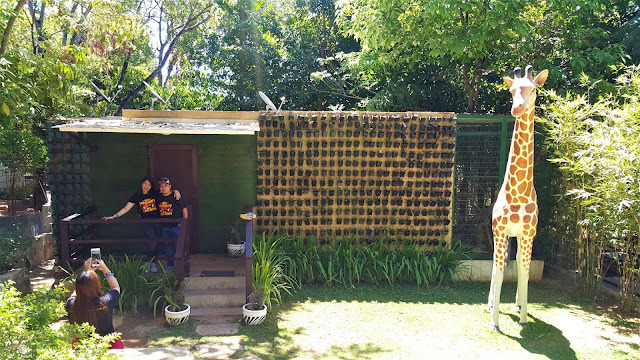 We had the chance to meet Mr. Robert Yupangco, the president of the Zoomanity Group Corporation shared his learnings from a famous quote "Plant a tree, Have a son and write a book." 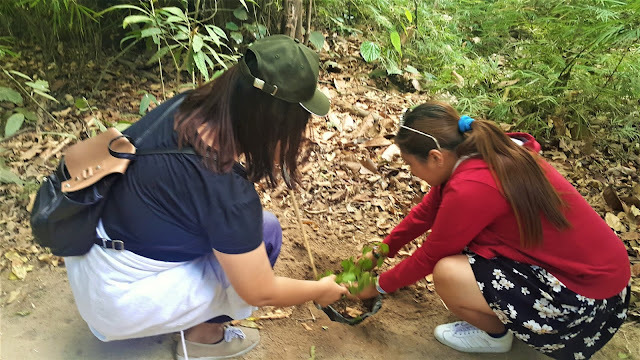 With that, we had the chance to try planting a tree and I'd love to come back here someday to tell my family that this plant has been planted by my own hands! 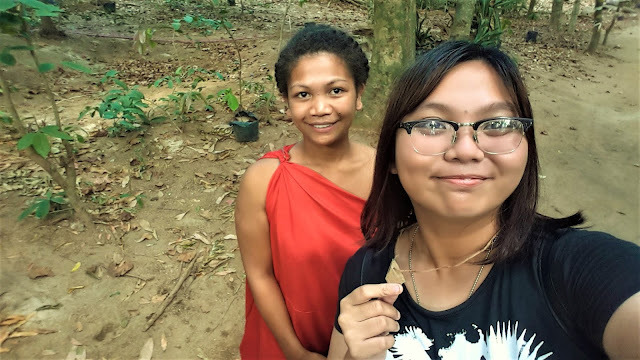 It's my first time to feel so special when we arrived at Camp Baytan, the Aetas welcomed us and gave us their handmade necklaces to as their gifts to their guests. They showed us a sneak peek of their rituals in a form of dance performance that they actually use Right after, they taught us the indigenous way of making fire from bamboo and served us rice cooked inside bamboos. 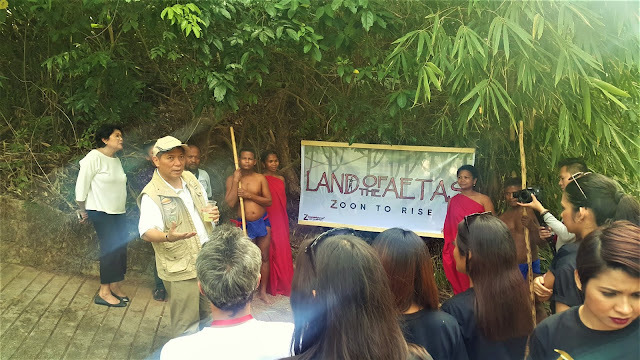 The land of Aetas, that's soon to rise in Zoobic Safari will be the next big thing in this zoo. Aside from uplifting the importance of Aeta tribe in the Philippines and the country's ethnic history. The land of the Aetas is also designed to be like the Pokemon virtual reality game so that even millennials will appreciate the place! 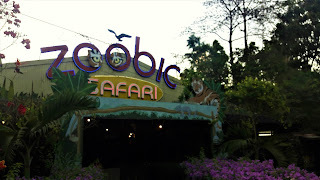 More about this upcoming attraction will be released by Zoobic Safari. 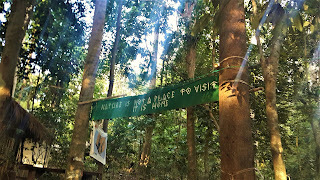 "Nature is not a place to visit. It is a home." This quote welcomes you in Camp Baytan and I enjoyed the sound that a jungle usually creates whenever you walk around following the trail. it was so precious and untouched giving you an overview of the simplest form of life ages ago. The only difference is that the connection is still good that you can connect on your data. 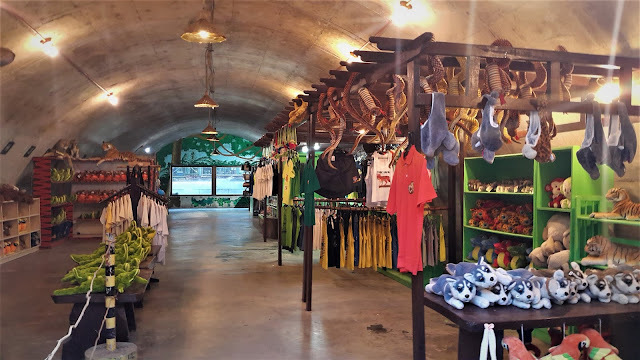 The whole place is preserved as it is located in Subic Bay Freeport Zone and the area has a law for preserving trees and water. 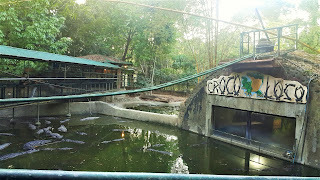 Crocoloco is a sanctuary for numerous crocodiles that range from baby ones to the oldest one at almost thirty years old. 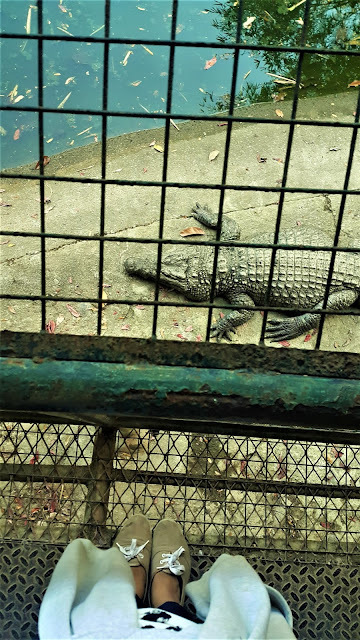 Here, you walk on a trail and the crocodiles are just below you. You also have an option to feed them at a minimal fee. Their souvenir shop is handmade products of their natives and I highly encourage you to support local by purchasing one. Their ref magnets and keychains aren't overpriced so I purchased some for myself and my friends! Zoobic Safari is divided into different attractions and it's gonna be impossible to roam around the place without riding the tram, a hop-on, and hop-off ride to conveniently help you transfer from one location to another attraction! 10. Plenty of photo spots for individuals and groups! The Zoobic Safari with the tagline 'The happiest place' is also a happy place not just for kids but also for adults. You wouldn't want to miss their photo spots but I won't drop it here so that you can be creative in your own shots! 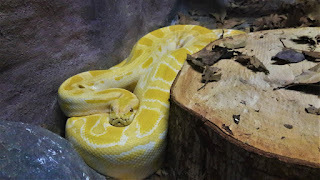 I've seen plenty of snake sanctuaries before but it's the first time that I found a serpentarium that a certain staff will tour you around. Aside from that, there are snakes here that are imported from different areas so you can only see it here! 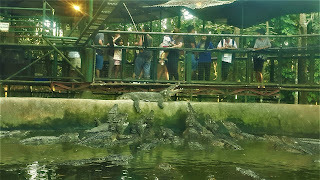 The Zoobic Night Safari is one of the main attractions of the Zoobic Safari in Subic. 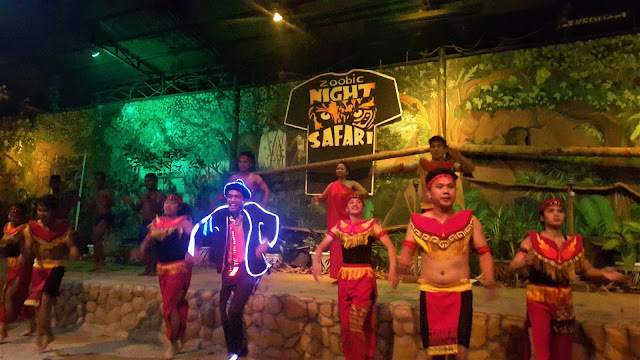 Aside from its prestigious fire dance show, the animals from their zoo also join the performance of their staffs. Yep, all the performers are part of the 'Z' staffs of the Safari and they just prepared the show to show some love for the visitors of the zoo! 13. Take a photo with their featured animal for the day or this white tiger, Titan! Titan is the famous white Tiger that Zoobic Safari is proud of! You can line up to take a photo with him and you can have it printed as a photo print or in other forms such as mugs as souvenirs! Glampz (A 'cutie' and more eco-friendly version of 'glamping' allows up to 4 pax to enjoy a spacious and glamourous room at a very economical price without sacrificing the quality of the experience and service. 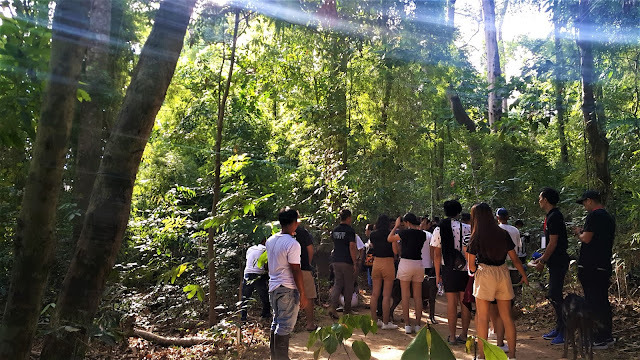 Aside from that, it allow you to be connected with nature since you are surrounded by trees and you have access to the zoo! 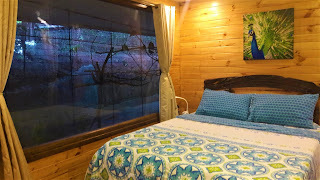 The main feature and the highlight of every Glampz room is the huge bird cage right next to your window. 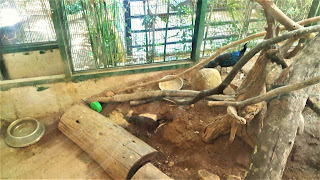 It really gives a sense of belongingness to nature since it is located in an exclusive 'village' type of area but just across the zoo. Surprisingly, there's a wifi connection and good water supply. Since we are four in the room, it's my first time to sleep in a pull out bed and I didn't know that pull out beds is so sensitive to movement and it slips a lot when one moves so I highly suggest that you ask for some rags from their staff so they could assist you on that matter. Nevertheless, everything else went out smoothly. Even television has cable channels. 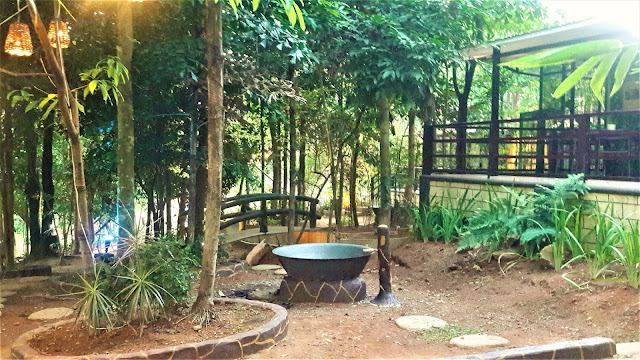 Aside from the zoo attractions, you'll also enjoy bonfire and kawa bath just in front of your room! They are currently building a swimming pool and a villa for bigger groups so this experience will definitely make it on your bucket list! 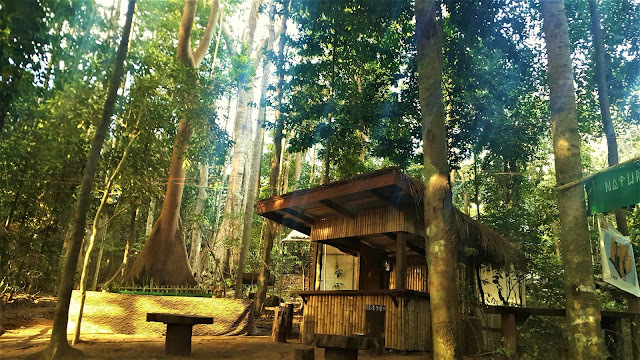 Aside from this one, they also have the sky safari where you can enjoy their zip line. It is just located beside the Glampz. Ride bus in EDSA/ Cubao via Dau Bus Terminal or Harbor Point. Travel time is usually five hours. 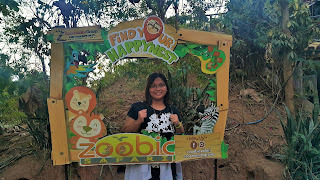 Zoobic Safari is run by the Zoomanity Group who also handles other zoos such as Zoocobia Fun Zoo in Clark and the Clarkzilla 4x4 ride experience in Clark's Lahar! We visited this place several years ago and it was fun. I love it that you were able to plant a tree... about the land of the aetas, i hope they and their way of life will not be made as attractions. I've been there a lot of years ago haha We fed chickens to the tigers. It was an awesome experience. The other activities are not yet available in the past. It's good that they added activities. 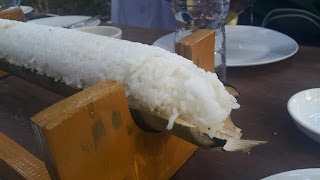 I remembered my experience in Caraga, Davao Oriental when I saw the rice cooked in bamboo here. I think it's really an old way of cooking Filipino food. By the way, the activities look fun and family-friendly. 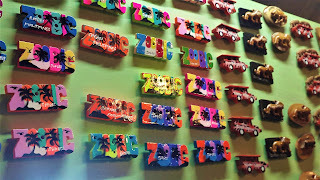 Nice to know that there are other activities here in Zoobic pala aside from exploring the zoo. I have a serious question tho regarding the tigers - is it ethical? Kasi sa Thailand di ba the tigers are drugged so they will be compliant enough for tourists to take photos na kasama sila. What are the options on traveling back to Manila and around Subic from there? My husband says it's easy to go to but not very easy to get a ride around from there. Is that right? OMG! 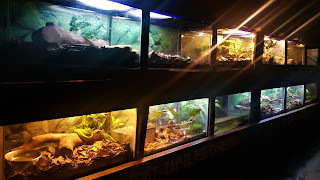 May Kawa bath na din sila. The last time I went there is when I was highschool. 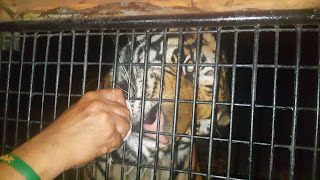 Nagpakain kami ng mga tigers while inside a vehicle that looks like a cage haha. How many days did you spend there to try all the activities? 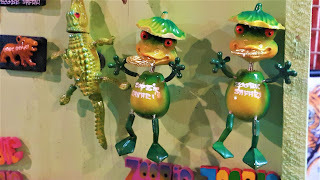 Wow, its been a long time since we visited zoobic safari! Love the part when youve had some activities with aetas. will try it when we get the chance. thanks! I'm near here because i also reside in Pampanga. But I find their rates a bit costly for a thrifty mother like I am. I hope they can offer discounts and promos soon so I can pay a visit with the family. I will make sure to bring my friends and kids here this summer. Good timing that it's their vacation now.